If you're teaching an English or language arts class, you might be looking for some ideas to help your students learn grammar. Keep reading for a few helpful tips on creating successful grammar lessons that keep your class engaged and learning. There are differing philosophies when it comes to teaching grammar. Traditionally, grammar has been taught as its own subject. More recently, grammar is being combined with the reading and writing curriculum. This helps students understand how all three are connected, since reading can help improve grammar skills, which can also help students become better writers. Grammar is one of those topics that everyone needs to learn but many people find tedious. You can make grammar more enjoyable for your students by making sure your lessons are efficient and effective. Use interesting and grade-appropriate readings, games and activities to make the content of grammar lessons fun and relatable. At the beginning of a typical lesson, explain a new rule or part of speech that your students will be learning and give several examples. You may want to have your students make personalized grammar encyclopedias. Every time they learn something new about grammar, they can put it in their encyclopedias along with a few examples. Your class can use this guide anytime they have questions about previously learned material. After you've introduced a new rule to your students, complete several practice problems as a group. You may want to give students small whiteboards and have them write the answers to problems on the board. Students should hold up their whiteboards after each problem, which allows you to check their understanding. After you're satisfied that the students feel comfortable with the grammar concept you're teaching, give them a worksheet for independent practice. One of the most efficient ways to teach grammar is by including it in other lessons. For example, if you're teaching reading fluency or comprehension, you can make grammar part of the lesson by asking students grammar-based questions. However, by reading frequently, students may absorb a lot of grammar rules just by seeing them used repeatedly. 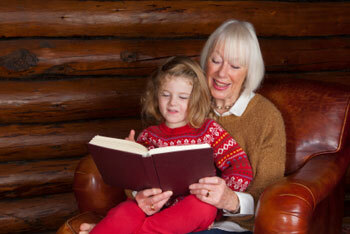 Reading short stories is a great way to keep your child engaged with literature during the cold winter months. Unlike a novel, a short story might last only as long as a cup of hot chocolate, making it ideal for this time of year. Here are ten short stories with winter themes for winter days.